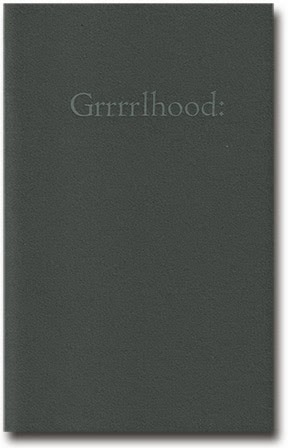 Last year’s winner of the annual The John Lent Poetry Prose Award, as run by British Columbia publisher Kalamalka Press, was Calgary poet Nikki Sheppy, and the resulting letterpress poetry publication is now available as Grrrrlhood: a ludic suite (Vernon BC: Kalamalka Press, 2014). It is good to see more activity through Kalamalka Press, however seemingly random, over the past few years. The press originally gained attention in the 1990s through an annual poetry manuscript prize, but for book, not chapbook, publication (Karen Connelly’s first poetry collection, among others, was produced through such). That contest has long disappeared, but, now three years old, the third winner of The John Lent Poetry Prose Award was recently announced as Montreal writer Nicholas Papaxanthos, and his chapbook Wearing Your Pants will be published sometime in 2015. WINDFALL is grrrrlhood. Bone of hair braided over and under the root system. That felled lock rocking its origin grew there without me. To go back is to fume quietly into the air, sound stolen by the gale-force spurred into lung. Of scent there is only chlorophyll (buds of a lost mitten, bathed organelles). It wakes like growth spurt. Bodes no futility, green verging on blue. I’m stippled with sense: voluble and inchoate. Not triste, no, but fire-breathing. Pit of the mouth scorched open, innards systemic with coal. What strikes about Sheppy’s Grrrrlhood: a ludic suite is the brashness of her text, a daring series of forceful, bold and playful engagements with expectations of language, sound and the notion of “grrrrlhood,” portions of which are reminiscent of some of the electric lyrics of poets EmilyCarr, Christine McNair, Brecken Hancock and Sandra Ridley. As Sheppy opens the first poem, “GRRRRL”: “(n.) a style of primitive ape, sub-adult and / female, in ringlets and pluck, about to slip / her tongue into you without first seeking / permission [. ]” Sheppy also manages to play with the language and concepts of mathematics, making some of her titles impossible to replicate in a form such as this. Grrrrlhood: a ludic suite is a smart and powerful mix of lyric extraction, mathematical formulae, angry questioning and Riot Grrl bravado, wrapped up in a striking accumulative suite of poems. I would very much like to see more from Nikki Sheppy.